Edit design Knit sweater anchor , or create your design from scratch. The anchor sweater you could not knit yourself. Even Etsy displayed no matches for your search of a sweater without print, but with custom knitted design on front, back and sleeve. 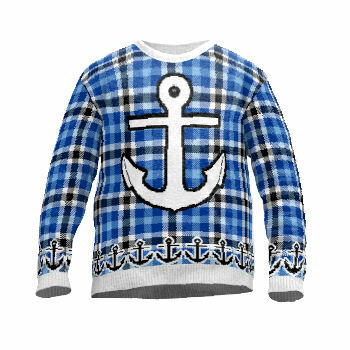 Make it navy, make it blue, put an anchor or any other clipart, photo or pattern on the sweater of your choice. Design here at Wildemasche and order online.